Mumbai-based interactive and digital marketing solutions firm Virtual Veda is enabling retail businesses to use the latest technologies while keeping the customer engaged. Pawan Tiwari, Managing Director, Virtual Veda, shares with Retail4Growth, the company’s approach to disrupting retail experiences through technology. For the new age millennial customer, retail experiences scores over products, any day. According to a report, 81 per cent of companies who focus on offering customer satisfaction, do much better than their competitors. It is this understanding that has driven Mumbai-based interactive and digital marketing solutions firm Virtual Veda to get into the retail technology space. The company offers technology solutions to help businesses create a better retail experience for their customers. 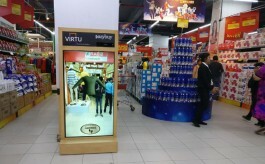 Essentially Virtual Veda enables retail businesses to use latest digital technology tools to keep the customers engaged. This includes a range of offerings – from online ad creatives and digital in-store assets (including hardware, software and creative) to mobile apps and big data analytics. In the in-store marketing space, Virtual Veda is focusing on infrastructural issue and arriving at solutions to effectively capture customer attention, while mapping the process and its effect. “For the last three and a half years, we have been seeding technology to solve the problems existing in the entire spectrum of marketing. Experience is a culmination of what consumers want. In the retail space, experience is driven by certain elements such as the category bay, POSM, POP, Planogramming tools etc.,” says Kunal Kanchan - Asst. Manager Ecommerce & TFM Solutions, Virtual Veda. The company focuses on enhancing the whole in-store marketing experience by designing various retail structures such as digital aisle breakers, digi-shelves, interactive digital shelves and shop-in-shop counters with interactive display units for the retail clients. These are created using the latest technologies for effective brand promotion. “Embedding technology in the regular structures helps in increasing engagement and participation of the target group,” informs Kanchan. 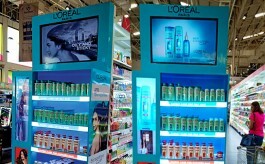 For shop-in-shop display units, the company uses E-link technology, which tailors each screen with information specific to its audience. The display units can be synergised with the showroom/ mall architectural design. Virtual Veda is basically innovating regular free standing units (FSU) by integrating a biometric sensor. For instance, if a customer passes by a CloseUp bay, the top, middle and bottom sections of the FSU will light up and convey the message, ‘Pass Ao, Pass Ao’. 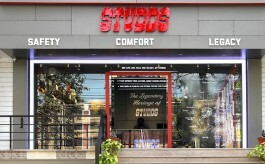 The audio branding can also be customized as per the brand and its TG. “This is the most basic disruption, which holds the customer attention for two seconds by conveying out loud the brand message. And if a customer spends additional two seconds, then there is a greater probability of him or her registering the brand proposition,” elaborates Kanchan. Data is an indispensable part of any business today and Virtual Veda makes sure to integrate this in its solutions. “We are trying to be disruptive through technology in the retail space by bringing together infrastructure and consumer experience and bridging them with the help of data analytics,” says Kanchan. The company integrates data analytics in every single component that it designs and the analytics are driven from all points of consumer interaction – whether it is a beacon, touchscreen kiosk or a sensor embedded FSU. But for Virtual Veda, there is no turning back now, having traversed a fruitful journey in the technology-enabled in-store marketing space.